Verifying your Myers Briggs Test * score. Organizing the 16 Personality Types into Type Families. Finding your "True Type". Before we get into the subject of validating your conclusions about what is your best fit or true Personality Type, I'd like to acquaint you with the some commonalities among the various Personality Types. These four groups are similar to the four Temperament Types developed by David Keirsey. However Kiersey "sliced the pie" a little differently, dividing Myers' 16 types into four groups with 4 types in each group. The four types with with NF in the code he called the Idealists; the 4 types with NT in the code he called the Rationals; the 4 types with SJ in the code he called the Guardians; and the 4 types with SP in the code he called the Artisans. Other authors have done similar re-composing of Myers categories. Some use colors for example. While all of the alternative groupings, including Keirsey's Temperament Types, are interesting and provide worthwhile insight, I've come to believe that the most helpful is the organization favored by my friend Danielle Poirier. She believes that the mental process that is a person's most dominant mental process has the most powerful influence on a person's personality development. Each of the four key mental processes that are part of Myers and Jung's theory of types have four MBTI types associated with them as the dominant mental process or function. (Sensing, Intuition, Thinking, and Feeling). So Poirier believes the kinship amongst the four types who share a given dominant mental process is stronger than what you'd find among the Kiersey Temperament Types (although they agree on two of the groupings: NT and NF). If you examine the MBTI Type letters within each of the four family groups, you’ll note the Personality Types within a given cluster sometimes share only one letter with another member of their group. Some would find this odd, yet none-the-less all the types within a cluster have a solid basis for collaboration and communication because they share the same dominant mental function or mental process. Note within each of these 8 sub-groups, the individual Personality Types share 3 out of 4 MBTI ® letters. So not only do they share the important core mental function, individuals within each of these groups will likely share a number of behavior traits that are correlated with the three MBTI Type letters they share. This organization creates a more dramatic contrast to Kiersey's temperament types. For example, the above table would have some Rationals and Idealists in the same box (INFJ and INTJ & ENFP & ENTP are two). What is My Personality Type? While the MBTI ® meets the conventional test standards for reliability and validity, accurately measuring something extremely complex like the whole of a person's personality type is bey)ond the power of our traditional psychometric tools. A whole host of conditions impact the "test taking" situation, including mood, life situation, aspirations, work implications, degree of self-insight, gender expectations, level of psychological maturity, to name just a few. Then add the fact that the human mind is constantly evolving, learning and unlearning things, and maturing-growing. All of these factors are why Isabel Myers originally called her instrument an "indicator." The instrument points in a direction - gives a clue - but not a definitive answer; the MBTI and other similar instruments attempting to measure Personality Type (including my own - the Cognitive Style Inventory) are not tests. They can only point the way; give a general direction. Sometimes this directional pointing is spot-on. At other times, a course adjustment is needed; the identified MBTI Type letters may be close but not correct in identifying which of the 16 Personality Types is a person's best fit. For this reason, an important part of the accredited MBTI administration process involves having the client verify the score through a variety of processes that assist in better understanding key concepts related to psychological type and in doing a degree of self-reflection in understanding (and appreciating) one's own inner workings. As an MBTI Administrator, one of the most common "type score" uncertainties I've encountered is when the score on the MBTI personality type instrument is close to the borderline between two type letters. For example, a person might score close to the borderline between ENTJ and ENTP. Too frequently they remain uncertain when they employ the accepted practice of reading the respective Personality Type descriptions of the two competing types; they will find a number of phrases in each of the descriptions of characteristics of the two Personality Types that seem to fit. This is understandable as the two Types do share 3 of the 4 MBTI letters. But if you look at the core mental function of these two types in the above example, they are quite different. ENTJ has at its core Extraverted Thinking; ENTP has at its core Extraverted Intuition. So while the two types share a number of characteristics, the "primary engine" driving each type is different. So what needs to be explored in this case to determine the proper Type affiliation is the nature of these two different mental functions and to what degree each fits the person exploring their Personality Type fit. Another example. Sometimes the the uncertainty between two type affiliations is not around the core mental function. Perhaps the Type score is near the borderline between INFJ and INTJ - both sharing the core Introverted Intuition as their dominant mental function. Here the distinction is between Extraverted Feeling and Extraverted Thinking. The person may indeed feel equally drawn to Feeling and Thinking - but Type Dynamics theory suggests most typically each would be more comfortably oriented in opposite energy dimensions. A sensitive INTJ will more comfortably Introvert his Feeling nature; a logical INFJ will more comfortably Introvert her Thinking nature . . . and visa-versa. What is your Dominant Mental Process, Your Greatest "Super Power"? If you are person who is uncertain of your type preferences examine which of the descriptions in the next section seem to best fit your experience and then look at the MBTI type letters aligned with that description. According to the model, one of the 8 basic styles should seem a natural fit as your core essence and perhaps another one or two styles that act as an auxiliary or complement to your core function. Some of the other functions will seem quite a stretch - being that way would feel foreign. Yet within each of us is a template for better developing all the mental functions (a total of 8 when you consider both the Introverted and Extraverted forms of the 4 basic functions of Thinking, Feeling, Sensing, and Intuition). 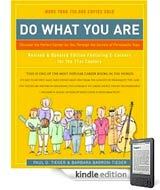 To the extent you can learn to stretch yourself enough to experience how it is to operate on these functions that are opposite your natural preferences, you’ll find it easier to bridge the gap with those Personality Types who naturally operate on those opposite preferences and mental functions. ® MBTI, Myers-Briggs, Meyers Briggs, and Myers-Briggs Type Indicator are registered trademarks or trademarks of the Myers-Briggs Type Indicator Trust in the United States and other countries (aka meyer briggs or myers briggs). * While commonly called a "test" the MBTI ® is not a test but a personality inventory in which there are no right or wrong answers. About the MBTI - An Introduction to Myers-Briggs Personality Type. Myers Briggs Test - What is your Personality Type? Profiles of the 16 Myers-Briggs Personality Types. Verifying your MBTI or Myers-Briggs Personality Type. Myers-Briggs Mental Processes - What's Your "Super-Power"? The MBTI Personality Type of Donald Trump - looking behind the media mask of The Donald. Leadership Style - Trump vs. Hillary - comparing their contrasting styles and temperament.